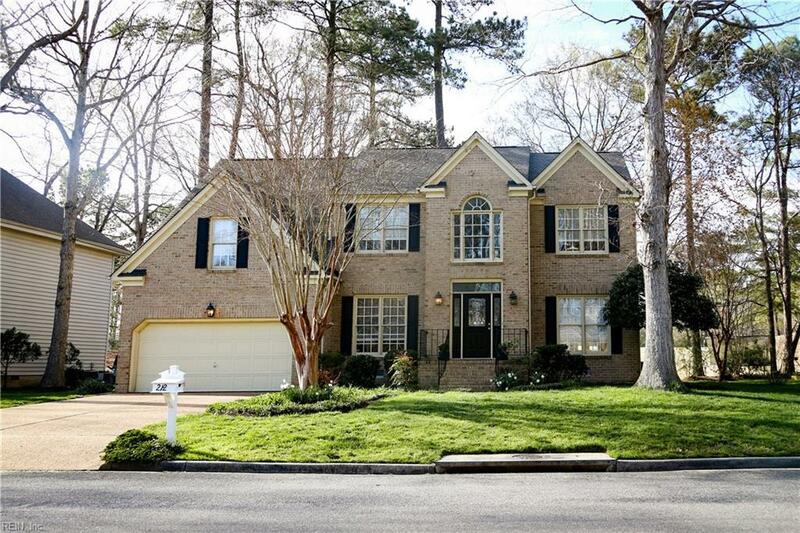 Beautiful home in Kiln Creek right on the golf course! Ready for your family and super convenient to shopping, restaurants, military bases, the beach, an international airport, historical landmarks and more. Along with an 18-hole golf course, the community also has a salt water swimming pool, 2 tennis courts, a pro shop, a restaurant/grill, conference rooms for rent, and a hotel. This fabulous home includes an upstairs master bedroom with en suite bath with a two-sided gas fireplace. 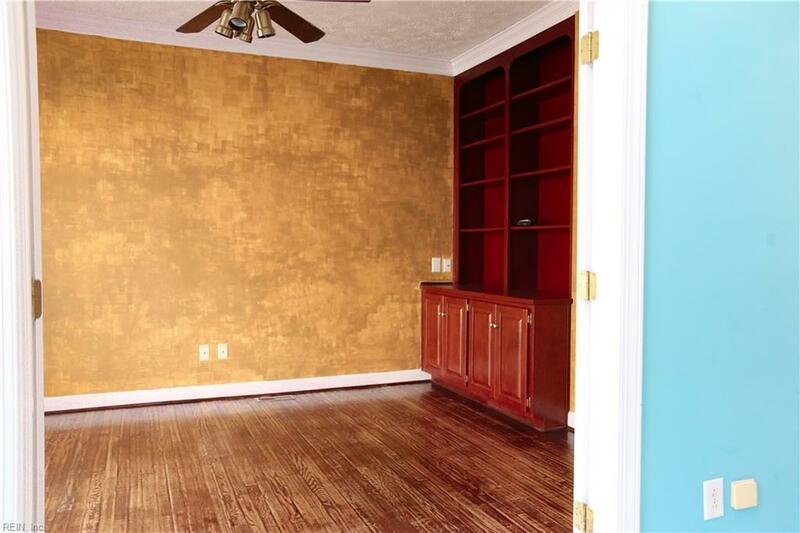 Huge walk-in closets, and all nice sized bedrooms. 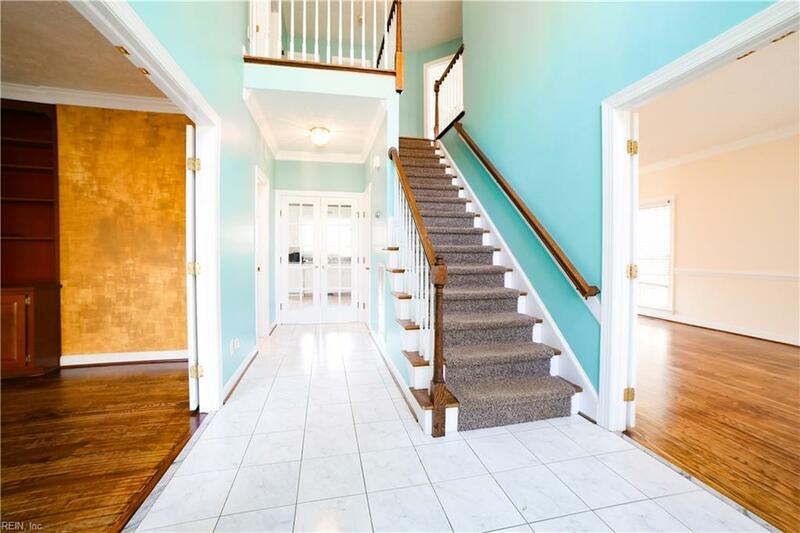 Huge combined living/dining room with hardwood flooring. 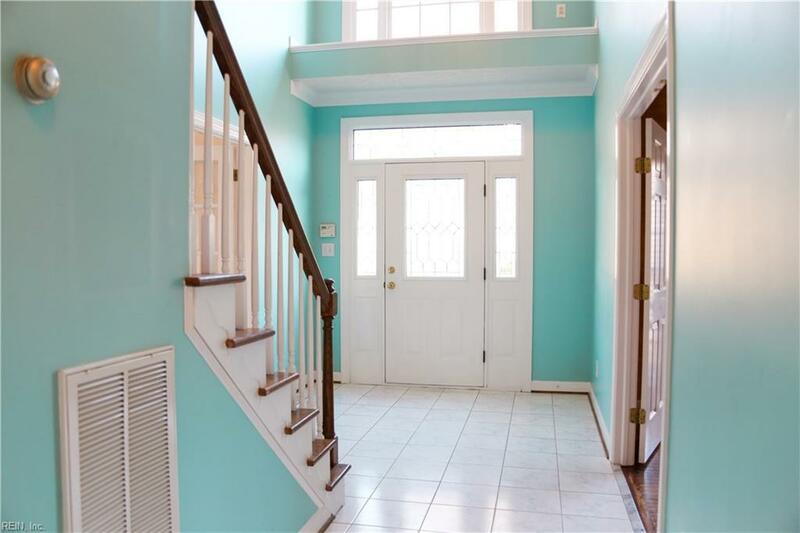 Great entertaining house with large spaces and kitchen that opens to the great room, and a deck for outside enjoyment overlooking the golf course. A must see!